Member of the celebrated Kenyan music group The Longombas, Lovy Longomba is now a pastor. Lovy has started his own church in Carlifornia USA and has been praised for his great healing miracles. The Longombas left the country over 9 years ago to look for greener pastures in the US of A. Since then, the duo - made up of siblings, Christian and Lovy - released a few hit singles like Queen and What You Like which ruled the airwaves back in the day. Christian is still pursuing his music and is about to release a new song. This comes after his miraculous recovery from brain surgery to remove a tumour. Lovy on the other hand seems to have changed his life and is now a celebrated preacher in the USA. He is the lead pastor at the Revelation Church Of Jesus Christ based in California. The church has a young following drawn from different races, based on photos on the church's Instagram page. 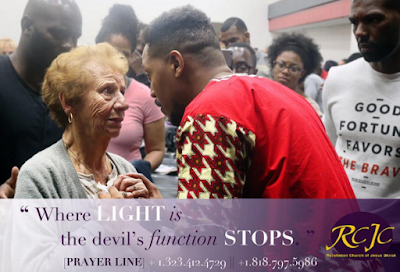 The New video posted by the church shows Lovy Longomba praying for an elderly woman who claims she previously had eyesight problems and at the end of the prayers, she gets healed.